Extend the walls of your practice. 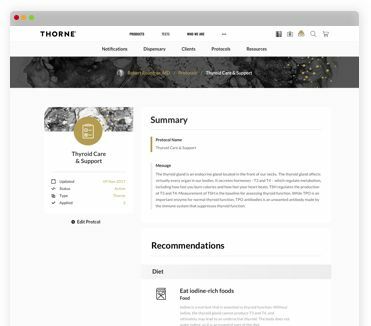 Thorne helps you be the best practitioner you can be. Drop ship recommended products to your patient's doorstep in the U.S. for free. 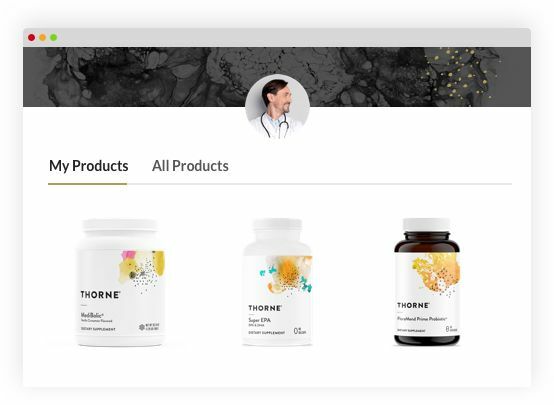 Build ongoing relationships with patients through the Thorne platform. 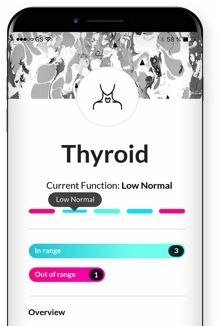 Review lab results for 5 Thorne at-home tests to personalize protocols and measure outcomes. 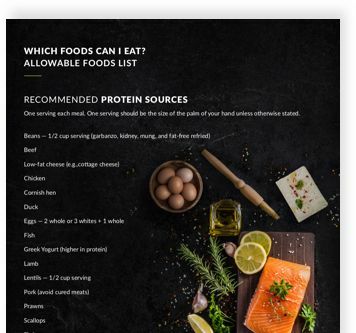 Build and share custom protocols with patients that include diet, activity, and supplement recommendations. 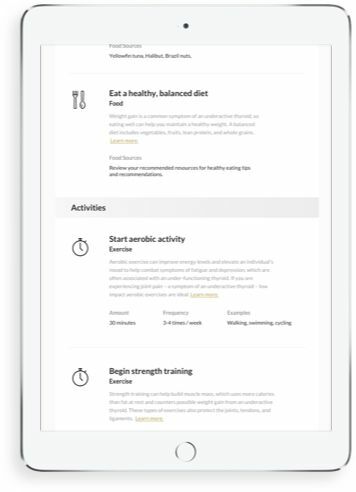 Share educational resources with patients from Take 5 Daily articles, Videos, and our Patient Guides.